How have I not had Clynelish yet? This glaring hole in my whisky journey was remedied last night, thanks to a 30ml sample I purchased (along with 33 (!) others) from Master of Malt‘s Drinks by the Dram service. If you want to try a bunch of whisky without buying whole bottles, and your home state/country/province allows residential shipment of alcohol, there is NO better way than Drinks by the Dram. Just be warned that 30ml is not a lot of liquid. Clynelish has a confusing history. What we see on the shelf now was distilled at a large, modern facility built in 1967-1968 to supplement the two pot stills at the old Clynelish distillery, which is now referred to as Brora. The old distillery, built in 1819, had a long and varied legacy of producing highly-regarded (and often sold-out) malt whisky. Today, the name Brora causes single-malt fanatics to foam at the mouth because of its rarity and exclusiveness – the distillery was closed for good in 1983. Bottles labeled “Clynelish” and distilled before 1967 would have been well-peated and originated in the old distillery. Bottles labeled “Clynelish” and distilled between 1967 and 1983 could have come from either distillery (which for a short time were named Clynelish 1 and Clynelish 2!) although the newer facility used lightly-peated malt (around 30ppm, compared to Highland Park’s 20ppm and Ardbeg’s 50ppm) and thus can be distinguished. Anything labeled “Brora” was distilled at the old distillery between 1967 and 1983 and is very valuable now. Diageo uses the lion’s share of the “new” Clynelish distillery’s output to form the basis of its Johnnie Walker Gold Label blend, as well as other Diageo blends. Until recently, the only source of Clynelish single malt was through independent bottlers and one-off releases (such as Diageo’s Flora and Fauna series). Now, thankfully, official bottlings of Clynelish 14-year and a Distiller’s Edition are available. Clynelish distillery is positioned on the eastern coast of Scotland’s North Highland region, somewhat near Old Pulteney. Its malt is often said to be waxy, briny, and mildly peated. Although unconfirmed, I’ve read that the malt is aged in both ex-bourbon and ex-sherry casks. Nose: Fresh ripe plums, red grapes, indeed a whole fruit punch barely masking deep, nutty barley. A sour high note stands out – similar to Highland Park’s floral peatiness, this hint of citrus is very well-integrated – so much so that I didn’t realize the malt was peated at first. Everyone else detects a note of brine – but I’m not getting it. A very robust, multi-layered aroma, and one that stands up to a lot of analysis. 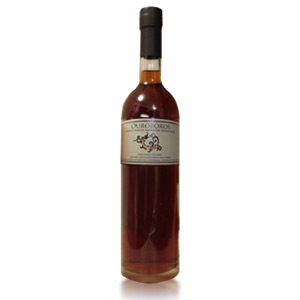 Palate: Somewhat thin mouthfeel, but also soft with round, welcoming flavors of caramel. The peat notes dance on the palate – sprightly and bright – while the whole evolves to a saltwater taffy-like interplay of sweet, salty, and fruity. 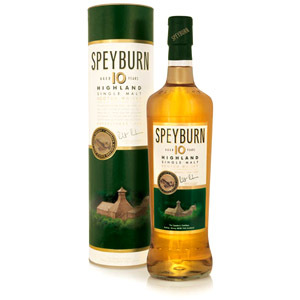 I love a whisky that changes – progresses – on the tongue, and this does it better than most. Finish: Ahh, now I get the brine. Like the taste of seawater in your mouth after swimming in the ocean. Drying, and more smoky now. Black pepper, sticky dates, and salted caramels. A twist of bitter lemon peel on the exit. Relatively short finish, except for the lemon peel. With Water: Adds candied lemon peel to the nose, thins the already-thin palate, burns a bit more than expected on the tongue, and does little for the finish. I don’t see any reason to add water to this, although a sip of water AFTER a sip of malt plays nicely – mitigating that bitter lemon peel note. Overall: This reminds me of Old Pulteney – with a chameleon-like shifting from briney and smoky to soft and sweet to fruity and sour. While eclectic, I cannot call it disjointed. The transitions between personalities is seamless, and the experience whole. I’ve never had anything quite like Clynelish, and I think it’s an experience that any serious malt drinker should have. Frankly, it’s a travesty that the majority of this ends up in Johnnie Walker. While no doubt the Johnie Walker tastes better with the Clynelish in it, the Clynelish can’t be anything but worsened by the marriage. Luckily, Diageo has thrown single malt lovers a bone by releasing and continuing this 14 year-old official bottling. We can just tell ourselves that all the “bad” Clyenlish goes into JW, anyway. Clynelish (Cline-Leash) is the sister distillery to the now-closed cult favorite Brora. When the old Clynelish distillery (established 1819 in the town of Brora in the far Northern Highlands, near the eastern coast) could not output enough malt to meet demand, a newer and larger facility was built next door in 1967. Eventually the old distillery was renamed Brora, and used heavily peated barley until it was closed during the whisky slump in 1983. The new facility, now owned by Diageo, continued to make a lighter, less-peated malt that featured prominently in the firm’s Johnnie Walker Gold Label blend. Process water comes from the Clynemilton Burn. 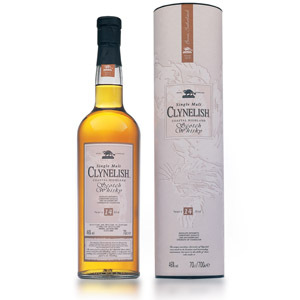 Clynelish does not clean the precipitated oils and waxes that accumulate in its feints and foreshots receiver, and this choice may contribute to the distillery’s house character. Only recently have official bottlings of single-malt Clynelish been released, including a standard 14-year and a Distiller’s Edition. Any bottle distilled at the old Clynelish (Brora) distillery is highly collectible, and highly rare. Transparency in Scotch: Crusade or Marketing Ploy? Clynelish 14 is so, so good for the price they charge. Up here in OR it’s only $45, which is an absolute steal given where most whisky prices are going. Out of curiosity, where did you find the PPM numbers for Clynelish’s malt? I had a conversation with Billy Abbot about it recently as there seems to be some debate about whether they use peated malt or not. The whisky definitely seems peaty, so I’m pretty confused right now. The PPM numbers came from page 44 of Charles MacLean’s Malt Whisky book. Agreed. PPM in the last two Clynelish 14 I have had can not exceed 5 PPM. Compass Box uses Clynelish as the base for its Oak Cross and Spice Tree blended malts. If you get a chance to try the Distiller’s Edition, it is quite good – at least the 1993/2010 DE is. 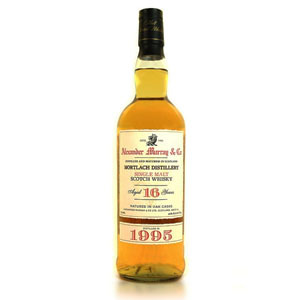 Clynelish is a darling of blenders – Compass Box uses it any chance it gets, and JW 18yo Gold owed a lot of its outstanding quality to it (a recent bottling of JW 18yo Gold seems to have decreased in quality, possibly due to less Clynelish). In the 14yo I was stunned by the waxy mouthfeel, unlike anything else that I tasted. I’m surprised you found yours thin. It may also be a case of the sample being not representative of the bottle, others reported such discrepancies with MoM samples. Clynlish 14 is a staple in my open bottle cabinet. I love this stuff. Blenders love it too because it pumps their blends up and gives them street cred. This is good stuff! I like to take it rick climbing with me on those cold days. Gotta agree with those above; the Clynelish 14 yr is a solid dram, and will always have a spot in my cabinet. For $48 it’s a really good value – especially when compared to it’s Diageo sibling the Oban 14 yr which costs $15 more on average for a 750 ml bottle. Independent of seeing your review, I also wrote that this one reminds me of Old Pulteney. Given the geographic closeness of the two, I suppose this shouldn’t be as surprising. Nicely written detailed note on this great whisky. I went into a sushi bar hoping to find some Japanese whisky to sample, but they didn’t have any. What they did have, along with the usual suspects, was this little gem. I loved it. Granted, I’ve never had OP, but no other malt I’ve tried bears resemblance to this. I was so pleasantly perplexed by the stuff that I can remember looking at it suspiciously in my glass. That, to me, is a good scotch: one that doesn’t just tickle the palate, but the brain, too. Complex, multifaceted, delicious—and as you noted, without being disjointed. Excellent review. To make you whiskey aficionados drool. About 20 years ago I was driving down the coast road in Scotland and on impulse stopped by the Cylnelish distillery for a tour. At the end of it they said they had a special promotion going on only for that week – buy a bottle of 30 year old Clynelish for the price of the 10 year old! I bought one bottle (only one! 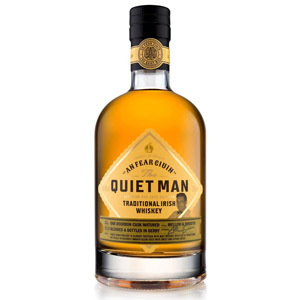 ), and to this day have regarded it as the best whiskey I have ever tasted; I recently bought a 12 year old – very good – but nothing like the 30 year old. Oh well – wonderful memories. A few years late on this one, but I just picked up a bottle of Clynelish 14 and I’m quite impressed. However, I don’t pick up on the waxy mouthfeel mentioned by so many – but I do get an exquisite spicy palate and finish, as though I popped in a hot cinnamon candy into my mouth! I would also say that this is very very close to Compass Box Spice Tree – I can’t really make a call of which of the two I prefer. This malt is discombobulating. There is no word more appropriate for it. I get the spice, honey, mild peat (not smoke) and that alcohol note. All at the same time yet separate and identifiable. I thought I had been led up the garden path when I tasted this thing but got to appreciate it later. I like it with just a bit of water. I used mineral water (*woe is me) and it really made it enjoyable for me. It balanced the myriad flavours and gave it a good roundness. I understand why they use it as a base for other drams.